Cyclist Kevin Korenthal has a passion for helping fellow cyclists in their race. Korenthal pushed through foot rehabilitation after a tragic accident rendered his left leg in need of amputation. Korenthal remains not only optimistic, but uses his experience to reach out to others. "If my participation in this extraordinary event can raise just a few extra thousand dollars for those heroes, then all of the hard work and pain that will go into preparing for this event will have been worth it,” he said. Money from the Million Dollar Challenge Race will be donated to the Challenged Athletes Foundation, to help disabled athletes get back on their feet. A podiatrist like Dr. Henry Slomowitz of New Jersey understands the complications a foot injury can have on one’s health. Dr. Slomowitz will guide patients in the right direction and provide you with the appropriate treatment options. Injured athletes are always looking for better, faster ways to aid their recovery and get back to the sport they love. Rehabbing an injury is just as serious as the injury itself, and going through the motions of physical therapy or rehabilitation is a necessary process to keeping that injury at bay. Read more on Foot Rehabilitation for Athletes. 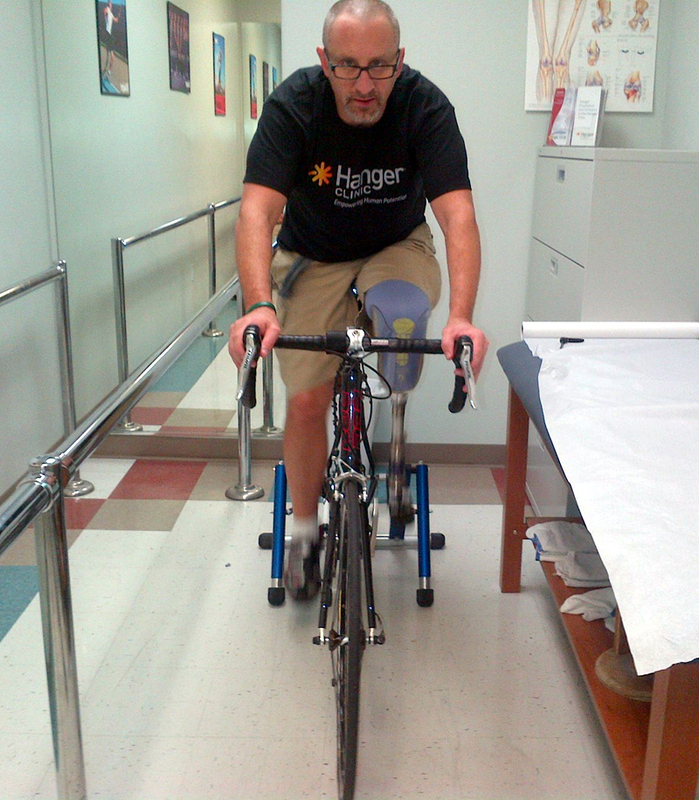 Cyclist Kevin Korenthal lost both of his legs in a tragic car vs. cyclist collision last December. The crash that Korenthal was in this past winter left him unable to walk let alone ride a bike. According to Korenthal, he will have to monitor his situation and work closely with doctors during the rehab process. With an amputated left leg and new prosthetic, Korenthal is looking forward to the race and helping others reach the finish line. "If my participation in this extraordinary event can raise just a few extra thousand dollars for those heroes, then all of the hard work and pain that will go into preparing for this event will have been worth it,” he said. Money from the Million Dollar Challenge Race will be donated to the Challenged Athletes Foundation, to help disabled athletes get back on their feet.